Want to see what is for Sale at Kihei Akahi? Click Here to see Kihei Akahi Condos For Sale. Selling a Condo at Kihei Akahi? 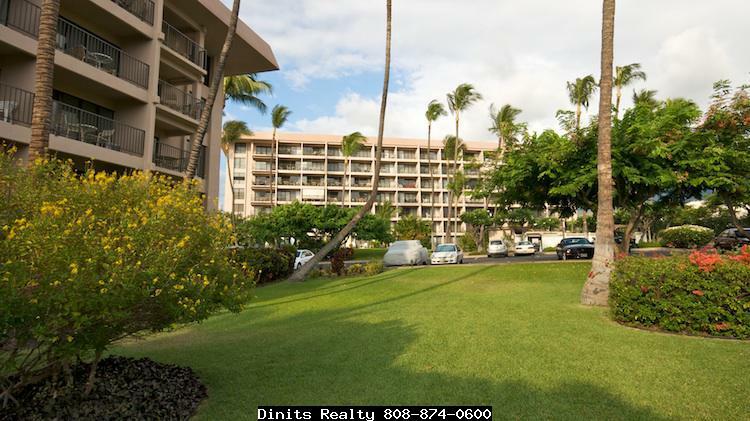 Kihei Akahi is a desirable condominium complex in the heart of South Kihei located across the street from the ocean and Kamaole Two Beach. People love to live or rent here because of the walkability of this area in Kihei with street lights and sidewalks. Nearby you will find shops, restaurants (some with live music), entertainment and nightlife. Some of the best South Maui Beaches are also walking distance: Kamaole I. Kamaole II and Kamaole III. 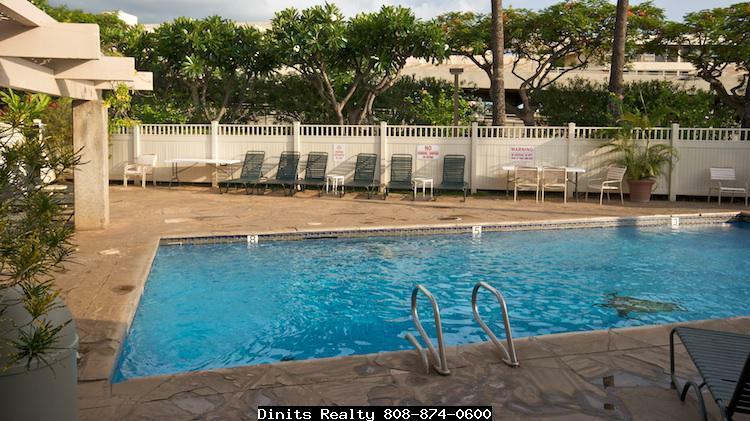 Kihei Akahi is a fee simple condominium that allows short term, vacation rentals. Built in 1976, this condo complex has 240 apartments in four buildings that are one, two or seven story. There are twenty-five studios with 429 square foot interiors and fifty square foot lanai. The majority of units, 144, have one bedroom, one bath with 655 square foot interiors and 68 square foot lanai. Twenty-eight condos have one bed, one bath, 696 square foot interior, and 27 square foot lanai. Eight homes have two bedrooms, one and a half baths, 1,175 square foot interior and 125 square foot lanai. Ten condos have two bedrooms, two baths, 879 square foot interior and 91 square foot lanai. Twenty-five units have two bedrooms, two baths, 932 square foot interiors and 92 square foot lanai. 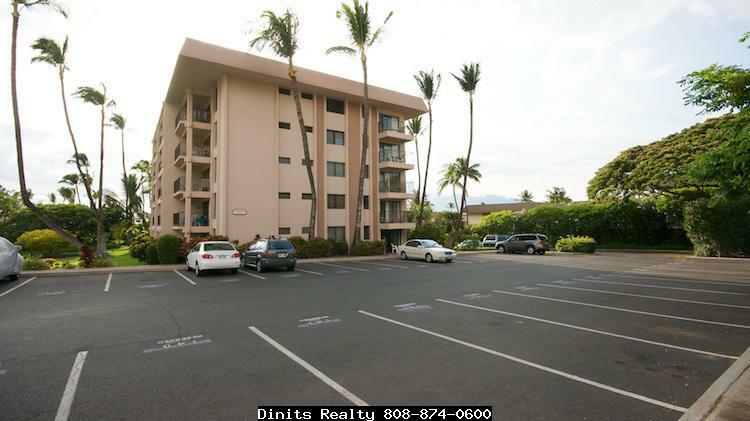 Building D is the most desirable because it is set further back from South Kihei Road and at a higher elevation than the rest for better ocean views and quieter location with less road noise. Interior amenities include: full kitchens, in-unit washer and dryer, private lanai, pest control every 3 months, air conditioning, and cable TV. Elevators provide fast and service for the high rise buildings. Exterior amenities include: tennis courts, clubhouse, two pools, BBQ areas on a tropically landscaped property of nearly seven acres. Pets unfortunately, are not allowed. Beaches across the street from Kihei Akahi are popular for swimming, snorkeling, paddle boarding, walking and more. If you like to golf, it is just a 10 minute drive to four different courses with perfect weather most of the year. It is short dirve to Wailea with the Shops at Wailea and resorts offering Spa with pampering or fine dining and entertaining shows. 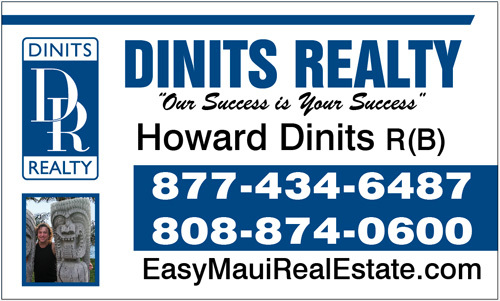 When you are ready to purchase a condominium in Maui, call Howard Dinits to find the best investment for your budget today. Selling a Condo at Ke ALii Oean Villas?